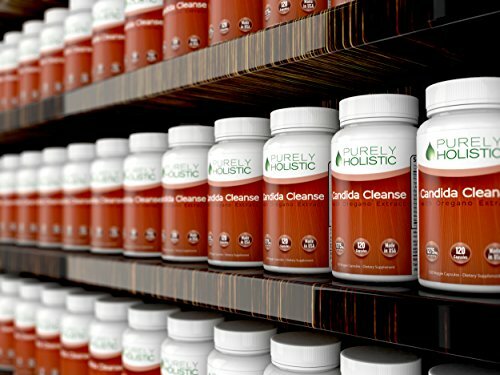 Why Choose Purely Holistic Candida Cleanse? Our formula works with your body. Our Candida Cleanse includes gentle antifungals caprylic acid, aloe vera, oregano, wormwood and anise seed. These are natural antifungals. 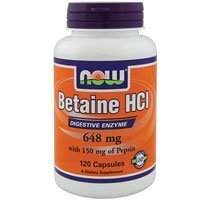 Our Cleanse includes enzymes Cellulase and Protease which restore hydrochloric acid and other acids to optimum levels. * 100% MONEY BACK GUARANTEE– No questions asked, feel the benefit or your money back. 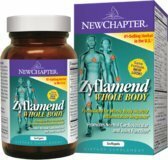 * ADVANCED FORMULA – Our premium strength formula includes 630mg of probiotics, enzymes & botanicals. * NO 1 FOR VALUE– Two months supply at a price most of our competitors charge for one month. 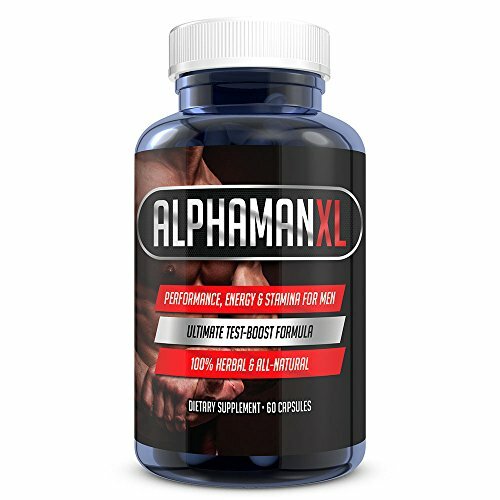 Our 630mg capsules offer over 25% MORE active ingredients than competing products. * USA PRODUCED– Produced exclusively in the USA All our products are manufactured adhering to Good Manufacturing Practices (GMPs) giving you 100% peace of mind. CAUTION: To rid your body of Candida, you may to begin with feel worse. This is known as Candida Die-Off (Herxheimer reaction). It’s going to vary from person to person, as each will have different degrees of infestation. These symptoms typically clear up within a week or so, but could last a little longer. If you’re having severe Die-Off symptoms, slow down your remedy and reduce your dosage of probiotics and antifungals. Also contains Protease which is capable of causing the production of MSG – Please contact Purely Holistic in case you have any questions. 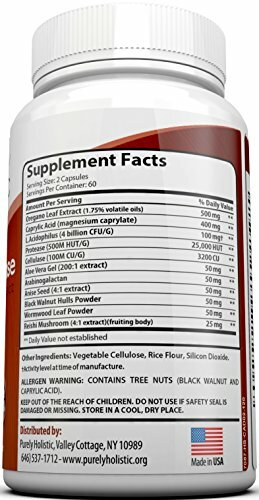 120 VEGGIE CAPSULES – 2 MONTHS SUPPLY – You receive 2 months supply of our premium Candida Cleanse. 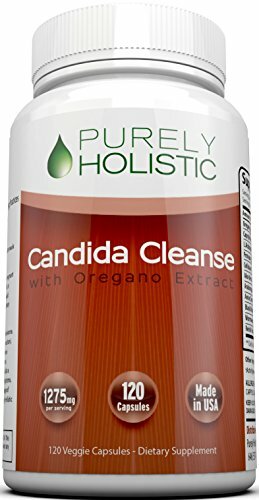 Most of the people stop taking Candida Cleanses TOO EARLY, – Our 2 month supply ensures you have an internal balance with healthy intestinal flora. PROBIOTICS, ENZYMES & BOTANICALS – Our Candida Cleanse formulae has eleven carefully selected ingredients to make stronger internal balance and promote healthy intestinal formula*. 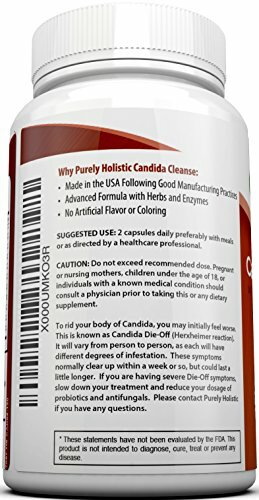 100% PEACE OF MIND WITH USA MADE CANDIDA CLEANSE: No wish to risk your health with cheap imported supplements. Purely Holistic Candida Cleanse is produced right here in the USA. We don’t use artificial flavors or colors. All our products are manufactured adhering to Good Manufacturing Practices (GMPs) giving you 100% peace of mind. NO RISK GUARANTEE – The unique Purely Holistic Promise is a ‘no questions asked money back guarantee’ allowing you to give protection to your health with ZERO risk. If you don’t like our Candida Cleanse (YOU WILL!) simply ask for a refund.